Is there a second life for electric vehicle batteries in microgrids? Jin Wang, He Li and Mohammed Alsolami, of Ohio State University, make the case. Increasing global energy demand in conjunction with limited supplies of fossil fuels and more stringent restrictions on greenhouse gas production have stimulated the growth of the hybrid and pure electric vehicle (xEV) market. As more xEVs appear on roads, one area of concern is the disposal of xEV batteries (Li-ion or NiMH) at the end of their useful lives. Normally, a xEV battery will still have 80 percent of its initial energy capacity when it retires from the vehicle. It is estimated that by 2020, there will be nearly one million retired xEV battery packs in the United States alone. 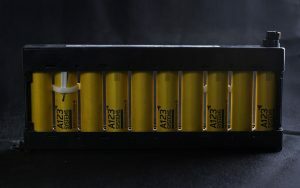 Finding an application, or second life, for these batteries is highly desirable for both the automotive industry as well as the general public. The extended use of the batteries could increase the residual value of xEVs and potentially create a new market for energy storage devices, thus bringing down sale prices of xEVs. At the same time, the general public will welcome the reduction of chemical and metal waste along with the energy consumed to produce new batteries. On the other hand, local energy storage (LES) systems are indispensable parts of emerging microgrids. They generally improve the stability of the microgrid system during operation and make the system more reliable for the end user. Due to the lower peak power demand and relatively smooth energy consumption profile, microgrids could be good candidates for second life applications of xEV batteries. By utilizing a retired xEV battery, the cost of LES systems will be reduced. This can make the investments in microgrid systems more attractive by shortening the payback period. Research on retired xEV battery for microgrids can be divided into three parts: system design optimization; operation and control; and study of long-term impact to battery life. System design optimization mainly is about the sizing of xEV battery based energy storage units and local energy generation resources, which also require the study of load profile and optimization of charging/discharging strategies of the battery. For example, batteries from plug-in hybrid electric vehicles (PHEV) have been proposed as energy storage units in residential microgrids. The battery on board a PHEV usually has power ranging from 3 to 5 kWh. A typical U.S. house has an average power of 1.5 kW. In this case, typical residential load profiles for different regions and communities need to be synthesized based on historical data. After the load profile is synthesized and based on different scenarios of local energy generation within the microgrid, the size of the battery (type and number of battery packs) and charging/discharging profiles can be optimized through an iterative process. Optimization targets can include payback time of installation, grid side power demand fluctuation, and charging/discharging round trip efficiency, etc. Operation and control of xEV batteries in microgrids can be slightly different from operation and control of other types of energy storage devices. To minimize the cost for off-market modification and ensure safe operation, the systems integrators would like to heavily rely on the battery management system (BMS), which was originally installed by the vehicle manufacturers, for battery monitoring and protection. This will pose limitations to the usage of the battery packs especially during different types of long term faults in the microgrid. 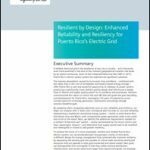 Study of the long-term impact of battery lifetime is the key to the success of the xEV battery for microgrids. In a residential microgrid, if an xEV battery is only used to assist one or two houses, the battery charging/discharging profile will be more relaxed compared to the battery usage on board the vehicle. But it is still not clear what criteria would decide the final end of the life of the battery and whether continuous low operation current will lead to a different aging mechanism. Furthermore, research may be needed to explore whether the operation range of the State of Charge could be extended. To enable the above three intertwined research topics, a reconfigurable test bed, together with a battery cycler, are required. A reconfigurable test bed with programmable electronics loads and emulators for local energy generation units can facilitate the research on the operation and control strategies. A battery cycler programmed with an accelerated version of predefined charging/discharging profile is the best way to study the impact to the life time of the battery. But how to generate an accelerated test profile itself is still a research task that needs inputs from both automotive manufacturers and electrical power utilities. In summary, research on the second life of xEV batteries in microgrids is just beginning. Though very promising, there are still a lot of uncertainties. Collaborative research that involves automotive manufacturers, electrical utility companies, and academia is needed. New standards on testing and diagnostics may need to be formed along the way. Acknowledgement: The authors would like to thank John Gibeau from the Ford Motor Company and Amrit S. Khalsa from American Electric Power for their continuous support and inputs to research on the second life of xEV batteries in microgrid at Ohio State University, which made this article possible. This article originally appeared in IEEE SmartGrid. Jin Wang is an associate professor at Ohio State University. He Li and Mohammed Alsolami are Ph.D students at Ohio State. If local Utility collect all retired xEV batteries (and charge by wind/solar power)by connecting them in series/parallel to get rated supply voltage they can use it as standby power or during peak hours.